Business landscapes are continuously changing with the continuous emergence of newer and better technologies. 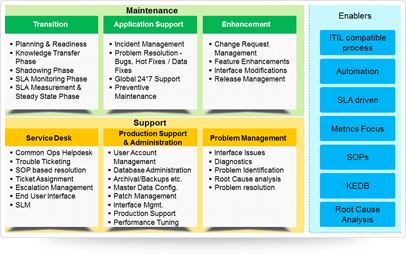 As a result, Application Maintenance and Support for the dynamic business environment can be quite challenging. 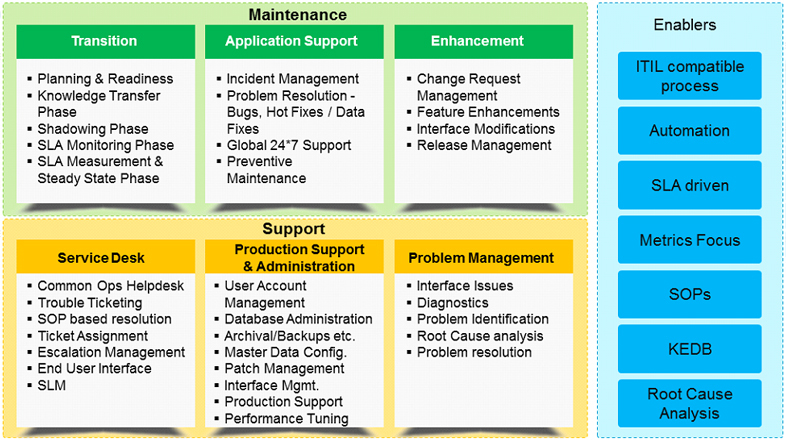 Coromandel Infotech has a history of providing maintenance and support to many mission-critical applications for our clients. Our application maintenance and support processes ensure that your systems are flexible and evolve with your business. Our services help to reduce the time you spend and focus on new IT functionalities and improvements. Our maintenance methodology is backed by years of experience and our extensive knowledge on multiple technologies and domains. While we do this, we adhere to stringent Service Level Agreements (SLA) and enable you to reduce the Total Cost of Ownership (TCO) for your applications.